The microfinance has been essentially recommended at present as an intervention for assisting poor people, including women, to improve their quality of life. 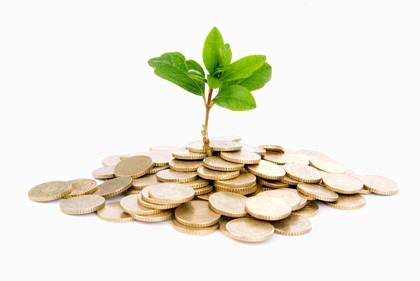 Generally, under a microfinance setup a small amount of money is provided as loan to initiate developmental activities by the microfinance organizations. A major part of the demographic statistics of Assam is represented by the rural population. On the other hand, a lion’s share of rural population is engaged in agricultural activities and most of which also produces in parallel the other basic dietary needs through domestic activities like fishery, horticulture, livestock rearing, etc. Significantly, most of the women are seen engaged in domestic activities in every household and they are also seemed to be very committed in household activities. On implementation of microfinance facilities with a clear vision in rural Assam, the society at large may be seen with a better change of development, empowering the rural household socially and economically. Providing literary knowledge for transformation of domestic activities into commercial gain, microfinance can be facilitated in every rural household on the domestic activities like farming, fishery, livestock rearing, etc. In this regard, women can be given preference as they have deep acquaintance with domestic activities. Microfinance, therefore, can also be a strong intervention to establish the social parity. Although the microfinance is provided for launching a small commercial activity, on successful implementation it can create opportunities covering all domestic activities. Microfinance in agricultural sector including its infrastructure can better uplift the rural economy. Further, microfinance is also extendable in the fields of healthcare and education.The impact of microfinance is assumed to be everlasting in the society, if all respects work together with a mission for change and development. Releasing this issue we want to disclose again that this is a platform to facilitate the writers for online publication. Dimorian Review e-Magazine is a voluntary initiative and open source of information for the benefit of the society. Writers need not bear the cost of publishing their write-ups. The editorial team is committed for providing the services free putting best possible efforts. In our journey, there may be some unknown mistakes and hence, we request your advice and suggestions so that we can put our efforts in the right way ahead.